Nathan. 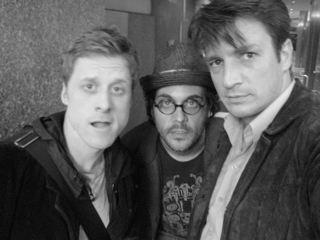 Alan Tudyk, Nathan Fillion and...anyone?. Wallpaper and background images in the Nathan Fillion club tagged: nathan fillion firefly alan tudyk. Alan Tudyk, Nathan Fillion and...anyone?